If you are selling your house, chances are you’ve had a home inspector come in and tell you that you have mold damage or water damage, issues that need to be taken care of. These issues usually occur in your crawl space, but can happen in other areas as well. If you are selling or purchasing a new home, have recently sustained or have concerns about possible or the level of air quality in your home, contact Carolina Water Damage Restoration for Cary NC home inspections services. Our mold and water damage experts will inspect your home with expert knowledge and equipment to ensure the safety and health of your family. Carolina Water Damage Restoration is the name to trust for water damage inspections, mold inspections, and home inspections in Cary NC and surrounding areas. Should our IICRC certified team of technicians discover any water damage or mold issues, Carolina Water Damage Restoration can help with all of your residential restoration needs. For the very best in home inspections available in Cary NC contact us online or give Carolina Water Damage Restoration a call at 919-302-2729. At times, mold growth is visible. More often than not, however, mold growth hides beneath flooring, trim, or wallpaper, in crawlspaces and attics, or behind walls and ceilings. If you have experienced water damage, discoloration of walls or ceilings, sustained health and respiratory problems, or noticed a musty odor, contact Carolina Water Damage Restoration for mold inspections in Cary, NC. Our technicians will perform state of the art tests to determine if your home has mycotoxins or mold growth. Should our home inspections experts detect mold growth in your home, Carolina Water Damage Restoration is the name to trust for complete mold remediation services. Get A Free Consultation for Your Mold Damage Inspection Needs! When floods, storm damage, sewer backups, and other water damage affect your home, various problems can occur. Rot can occur, weakening joists, beams, and structural supports. Foundations can shift or be damaged. Discoloration of drywall, ceilings, and other cosmetic features can prove unsightly. Carolina Water Damage Restoration is here for you, performing water damage inspections in Cary NC. 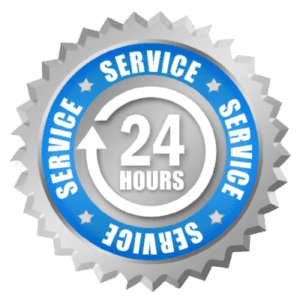 No matter the cause of water damage or your particular area of concern, our professional team is dedicated to finding and eliminating the source of the problem and providing repair. When you need home inspections in Cary NC, including water damage inspections, contact Carolina Water Damage Restoration. Get A Free Consultation for Your Water Damage Inspection Needs!